Last month I wrote a piece on how we are looking at the Northern Airport Line (City Centre to Airport via Dominion Road) all wrong. In that post (see: We are doing the Airport Lines All Wrong. Start from the Airport not from the City Centres) I stated that we should be starting the Line from the Airport and head to Onehunga as stage 1 with Dominion Road and Queen Street as stages two and three. At the same time the Southern Airport Line (Airport to Botany via Puhinui and Manukau) would also start allowing operations by 2021 (and to Botany by 2023). In the interim double-decker busses would ply Dominion Road which would have 24/7 bus lanes while Queen Street was closed to cars allowing the street to become a transit mall and able to handle the increased bus loads until Light Rail came down some six years later. Depot placement also determined which end of the Northern Airport Line went first. Given that the depot should be placed next to SH20B where the Southern Airport Line runs (see: Where to Place the Light Rail Depot for the Northern Airport Line?) starting the Northern Airport Line at the airport end made sense. 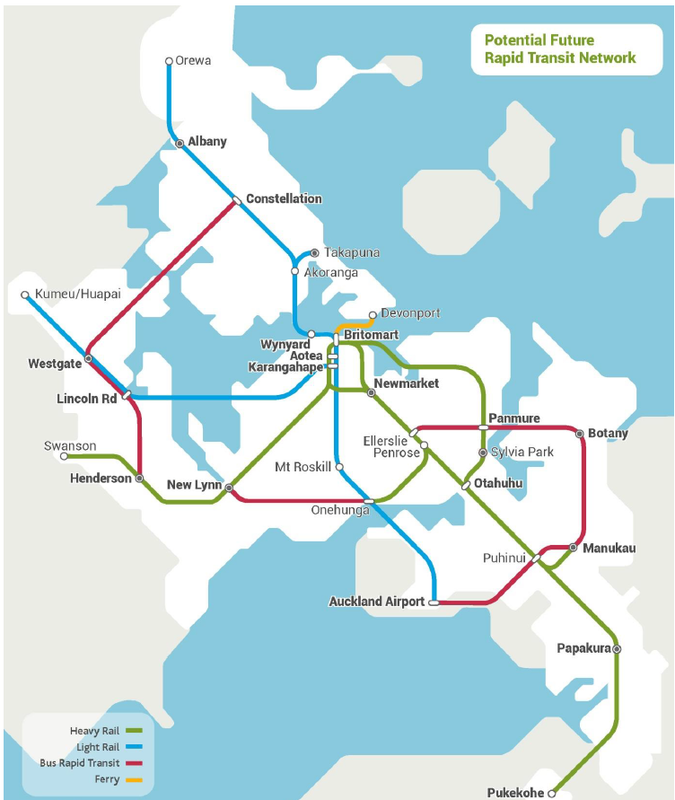 A comment on Greater Auckland about Light Rail procurement floated an alternative as well. That is starting the North Western Light Rail Line first and make its way to the City Centre from the West. Do the NW line first – the NW motorway congestion & growth out that way is more of an urgent problem if we probably think about it. Starting at a far west end (say Rosebank or Te Atatu ideally with depot on either industrial land) so to time with CRL work dates when getting to the city end. Gives much needed hub at Te Atatu as well. Run the NW line down Albert St rather than join up with Queen assuming that once doing the CRL bored tunnel work is happening work above can be done on this & can take the weight of LRT. The street above was going to get a make over anyway. All the services have been sorted out down this corridor so construction of the line may be quite quick compared to Queen St where services still need to be moved. This NW line could leave it’s fast motorway corridor section & link at Newton St or something to K’Rd, Pitt St, Vincent & onto Albert terminate bottom Albert. Have no cars bottom of Albert. Once disruptive CRL works complete in the city section & Albert St is clear of LRT works build airport line LRT with small depot from Wynyard Qtr end. Get the Queen St LRT & street upgrade works going. City buses are now reduced and/or moved to Albert St & elsewhere during construction somewhat. Transfers to LRT maybe needed from some west services. Work on Dominion Rd could probably be done started simultaneously or even before this from the Airport and/or Onehunga ends as per Nicholas Lee/Ben Ross (see: We are doing the Airport Lines All Wrong. Start from the Airport not from the City Centres) ). Add in NW line split to the Queen St line at Ian McKinnon Dr (faster & more connected). Increase frequencies from 10 mins to 5mins alternating between the slower street end or faster Queen St line. Continue NW line out further west. Someone put Grant on the committee overseeing the Light Rail design and builds! I like the ideas Grant put forward and they would work well with the Northern and Southern Airport Line builds starting at the Airport end.